Originally set up by the Clar family, this ancient Catalan ‘mas’ has an old cellar, now equipped with modern vinification and aging apparatus. The vineyard covers 60 hectares across 3 of the key Roussillon terroirs and is planted with traditional grape varieties (Carignan, Grenache blanc and noir, Muscat of Alexandria and Petit Grain) as well as other more international varieties (Syrah, Cabernet Sauvignon, Mourvédre, Merlot) producing aromatic wines of great regional typicity. A portion of this land used to be a part of the old Laurinya, that was given to the Cuixà Abbey by the King of France in 1068; land which later became the King’s vineyards and which produced some of the wines served at the court of the King of Aragon. Our vineyards are mainly managed using the Cordon de Royat pruning system, with a planting density of 5400 vines per hectare, and a yield of 45 hl/ha. Harvested partly by hand and partly by machine, our grapes are vinified in the traditional way: carbonic maceration and maceration after pressing. Classified AOP Côtes de Roussillon and IGP Côtes Catalanes, our top wines are Château Lauriga, Prestige, Grande Réserve, Soleil blanc, Racine, the rosés and the Estate Blends. 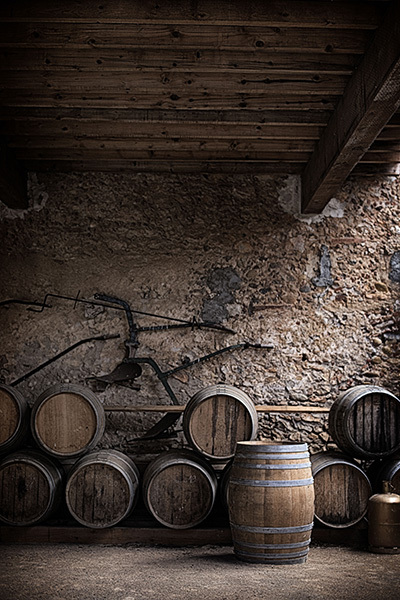 With so much heritage and experience at our disposal, we produce ambré hors d’âge fortified wines which give our region its unique character and style. This ancient winegrowing region is situated in Aspres, in the commune of Thuir, where the aperitif Byrrh comes from. 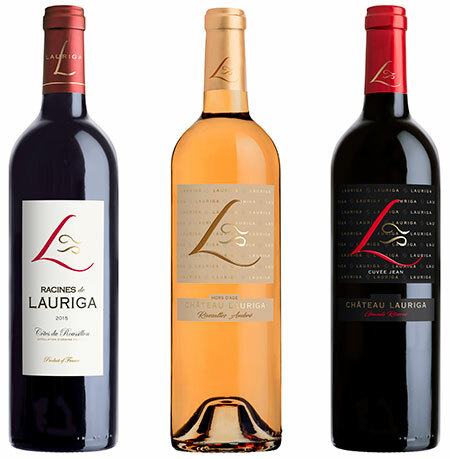 With 60 hectares of vines surrounding a renovated house and a modern cellar with high-tech winemaking equipment, Lauriga produces top quality wines. The magic combination of the Tramontaine terroir, grape varieties and winemaking expertise has produced a range of wines with complex, subtle aromas and flavours. The range comprises white wines made from dry Muscat, Grenache, Macabeu. The IGP Côtes Catalanes, the AOP Côtes du Roussillon Rosé and Red, ‘Le Cadet, ‘Le Château,’ and the Cuvée Prestige which are matured in oak barrels as well as regional specialities Maury l’Ambre and Muscat de Rivesaltes.